Vaughn VM Pro Elite Goal Mask | Sports Etc. Chin cup is a molded foam covered with an anti-microbial fabric and is adjustable with dual Velcro straps. 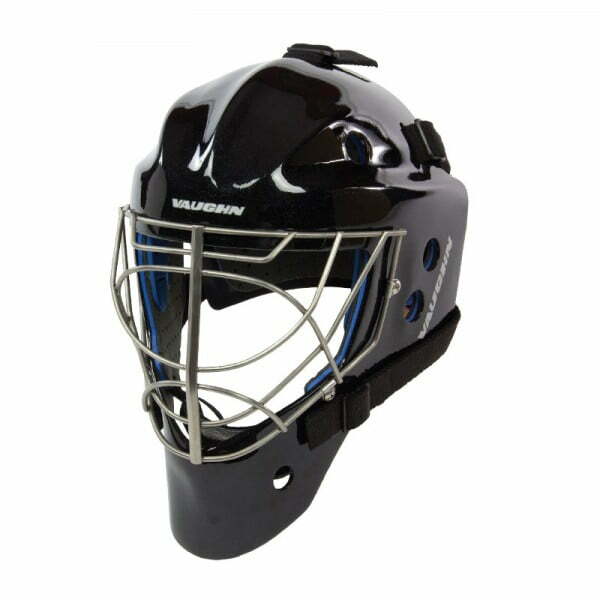 The Vaughn VM Pro Elite goalie mask has a high impact resistance composite shell for added protection and durability. The wide face opening increases the overall field of vision. Sports Etc Performance To Value Rating– 9 out of 10. The VM Pro Elite is a highly protective and durable helmet. Fits slightly wider- perfect for someone with a fuller face.